Founded in 2009 by Mr. Madhu S.P & Shashidhar U.P Rishabh Ventures specializes in Layout development and Construction of Row Houses. Based in the knowledge capital of Karnataka – Mysore Rishabh Ventures is managed by veterans who have vast experience in Development and Construction activity. 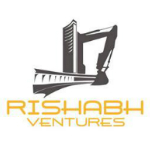 Rishabh Ventures values commitment to excellence, performance and honesty. ‘Making good homes’ that last for years is the humble aim of the founders and their clients have commended their transparency in business. Uncompromising in values, customer centricity, robust and intelligent engineering and rigid in deadlines are the core standards that they live by. Trust, reliability and excellence is work are the quality ‘mantra’ that we live by and Rishabh Ventures with its skilled workforce team aims to innovate creatively to build the best homes for you.